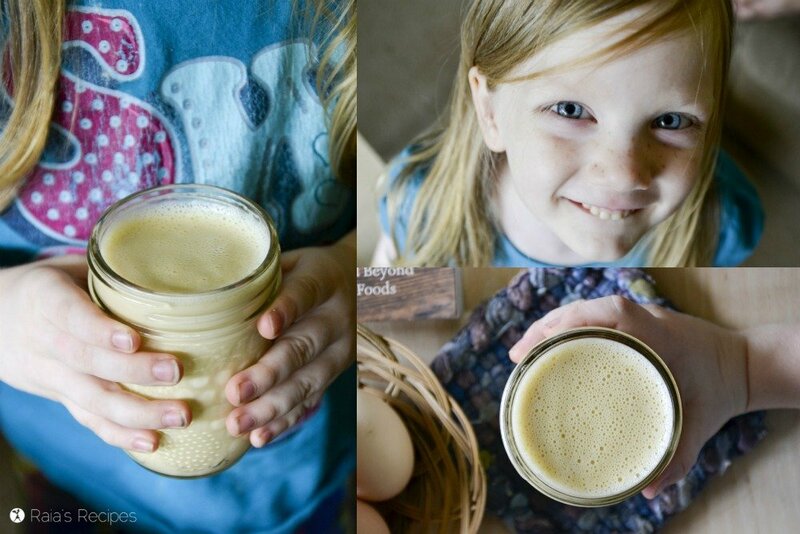 Nourishing and delicious, this Nutrient-Dense Raw Milk Tonic is the perfect bedtime snack for little ones! Feeding the baby can be a pretty controversial topic. I remember all the unsolicited advice I got from well meaning mothers when I was a new mom. Whether it’s at church, at the park, in the grocery store line… everyone has an opinion! No matter our differences, though, there’s one thing we all agree on. It’s important to give our babies the best start we can! Now, I’ve never been very conventional when it came to feeding my kids. With my oldest I tried the whole baby cereal thing, and it seemed like an immense waste of money to me. Then I tried a baby food grinder, and that was a waste of time. By my third I was pureeing my own baby food. But I still felt that it wasn’t worth the time, he was over that smooth stuff faster than I could make it! They all wanted what I was eating, so I gave it to them. It seemed to be the easiest and best way, but by kid number four, I knew something needed to change. After finding out I couldn’t have gluten, or eggs, or dairy, or broccoli, or garlic, or carrots, or – the list was seeming infinite – I hit the books (or the internet) trying to figure out what was wrong. Much research lead me to realized that I and a few of my children were dealing with leaky gut issues that were contributing to our constant sickness and allergic reactions to food everyone else seemed fine with. After more studying and prayer I realized that the way I was feeding my babies were eating was not giving their guts the best start. Contrary to popular opinion, rice cereal or oatmeal is not the best food for your baby. They don’t have the enzymes needed to properly digest grains until their molars come in (usually around 14-18 months), so starting off with grain-free, easy to digest foods is so important! And so, even though the first child is usually considered the Guinea pig, number four became mine! When she was around one year old we started the GAPS diet as a family (you can read more about that here). And it was eye-opening. She didn’t eat grains (not even gluten-free ones) until she got her molars around 18 months. Instead, when she ‘started solids’ we introduced her to bone broth, avocados, raw egg yolks from pastured hens, homemade yogurt, and boiled veggies. After about 6 months on that diet we began introducing gluten-free grains. Let me tell you, it was not easy, but I know that it was worth it. If you’ve been on the fence or wondering if there’s a better way to start your babies off on solid foods, let me recommend a wonderful resource to you. My friend Renee, from Raising Generation Nourished, has a new book hot off the press all about giving babies the best start possible! Nourished Beginnings hit the stands last week and I was one of the first to get a copy! Let me tell you, friends, this book is wonderful. 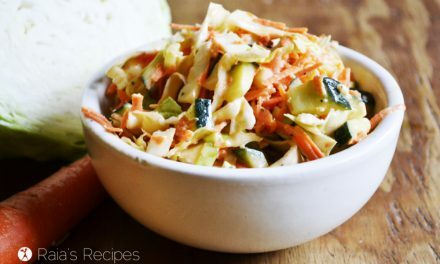 Renee provides recipes that encourage little ones to develop a broad palate and become and adventurous, well-rounded eaters. From simple starts to recipes the whole family can enjoy together, the recipes are nutrient dense and flavor-full. Renee encourages the use of traditional, real-foods such as bone broth, veggies, eggs, and meats, and includes recipes for common baby ailments such as colic, fevers, and tummy aches. There’s even a wonderful little section on first treats that I’m excited to try (forget my 18 month old – I’m totally eating that Raw Cocoa Avocado Pudding myself at nap time)! 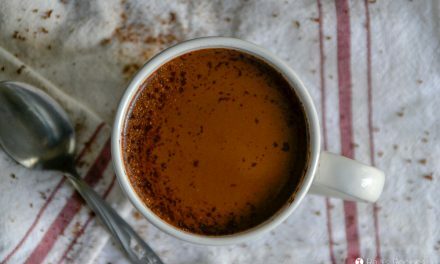 I’m excited to share a wonderful recipe from Nourished Beginnings with you today, as well as give away a copy! Make sure you scroll down to the bottom and enter to win a copy! 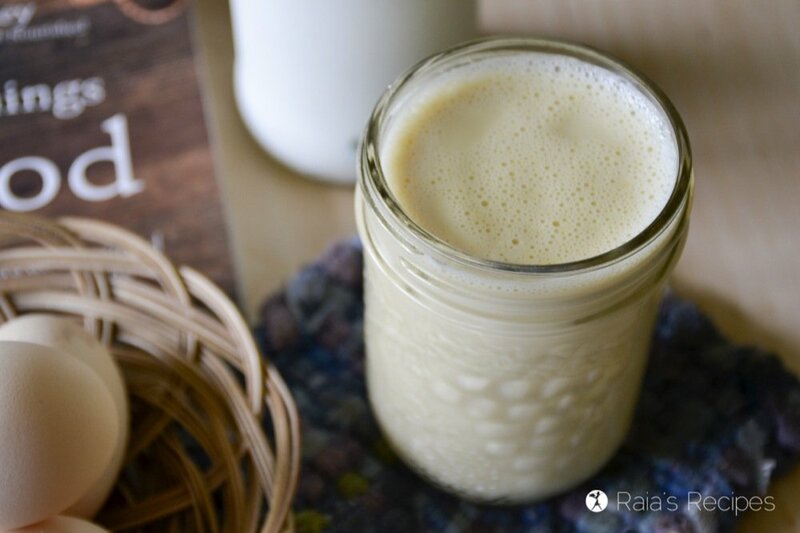 As for the recipe, it’s a delicious, warming, nutrient-dense raw milk tonic. Perfect for calming down little ones before bed at night, or waking them up on a chilling morning. While I shy away from giving my babies conventional milk, due to over-processing and the unhealthy diets of the cows, I have no qualms about giving my little ones fresh, raw milk. I also have no issues feeding my children raw egg yolks, as long as they come from pastured hens. Though some may frown upon eating raw eggs, I’ve never had any of my children react to them, and even I can eat them despite my intolerance to conventional eggs! If you’re not convinced, though, you can leave out the yolk in the recipe below and/or just add in a healthy oil like avocado, olive, or coconut oil instead. Free of grain and sugar. From the book Nourished Beginnings, by Renee Kohley. Used with permission. Cold version: Place all ingredients in a jar and blend with an immersion blender. Warm version: Gently warm the milk until it's warm to the touch (not hot). Add the remaining ingredients and blend with an immersion blender. 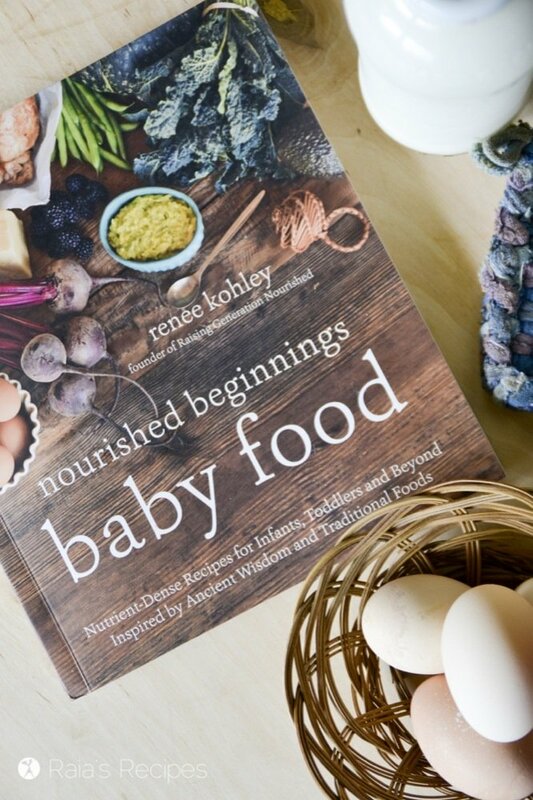 Enter here for a chance to win a hard copy of Nourished Beginnings! Missed the giveaway? You can still get the book HERE. 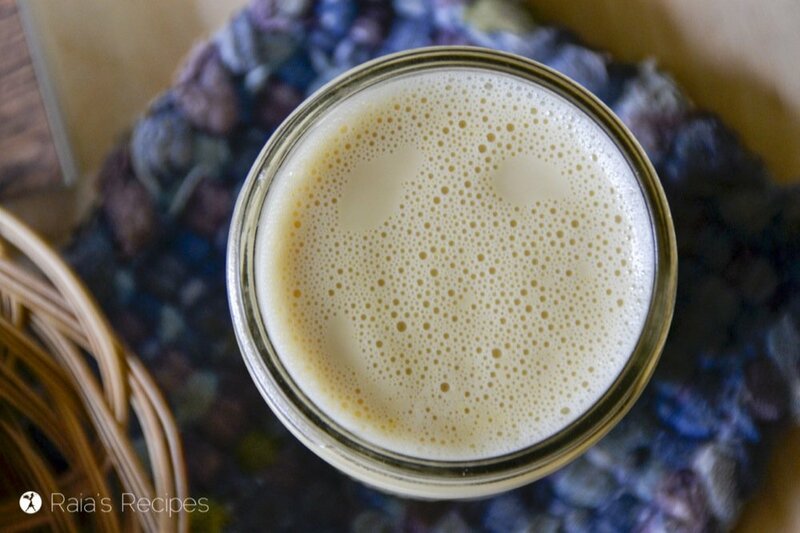 Pin this Nutrient-Dense Raw Milk Tonic for later! Shared at Family Fun Fridays, Foodie Friday, Foodie FriDIY, Free From Fridays, Full Plate Thursday, Gluten Free Fridays, Healthy Happy Green & Natural, Let’s Get Real, Raising Homemakers, Real Food Fridays, Shine, Simply Natural Saturday, Sunday Fitness & Food, Tasty Tuesdays, Wednesday Showcase, Weekend Potluck, Weekend Wind Down, Welcome Home Wednesdays. We followed a similar path with my youngest because she had many sensitivities from the very beginning. That cookbook looks lovely and the milk tonic sounds amazing! Hi Raia, This just looks like an amazing cookbook. Where was this information when I had little ones? My baby just turned 18 this week. 🙂 🙂 I’m off to share on Pinterest. Aw, it’s crazy how quickly they grow up! Thank you so much for sharing, Barbara! What a great post, your little ones are just adorable and thanks so much for sharing with us. Have a great week and hope to see you at Full Plate Thursday again real soon! What a great resource for new mothers! I’d love to have this book for my niece to get a healthy start on her diet! I’d love to win this book!! I have 5 kids under 7 and while I’m no stranger to real food, I love Renee’s recipes and know it would benefit our family! Thanks for holding this giveaway! We had raw milk the other day at a farm here in England, it was sooo good! Raw milk is so delicious, Diana! So much more substance than store-bought (even organic). I would love to try this. I’ve looked for raw milk products, and have a hard time finding them. It looks really yummy. And that cookbook sounds great! It’s so nice of you to give one away. It is delicious, Debi. 🙂 I’m glad to be giving away one of the books – I hope it helps many moms! This was interesting! I don’t think it’s even legal to sell raw milk here, and I have no way of getting my hands on it- but it’s interesting!!!! You’re right, Sarah, it isn’t legal everywhere, sadly. You could make it with organic almond milk or coconut milk, if you want. Such a fascinating read. I am not familiar with this type of recipe but appreciate the thoughtfulness behind it. Sweet baby! Looks super nourishing and healthy! Never thought to make it this way. 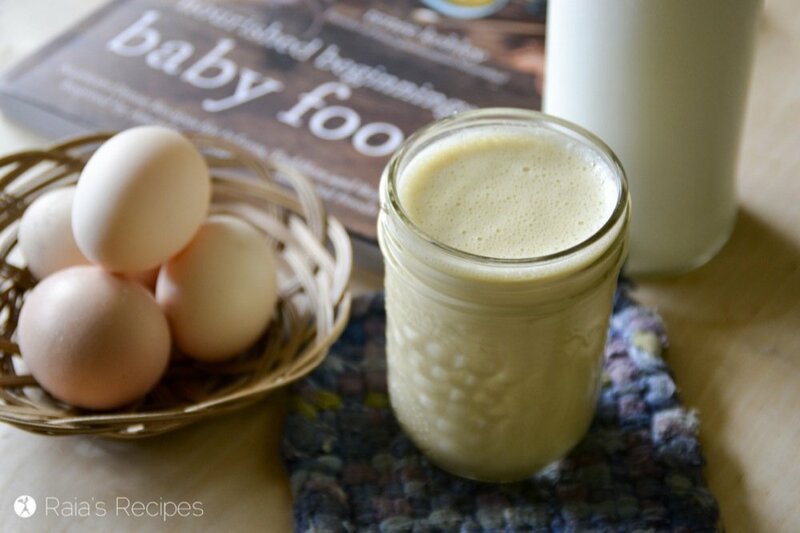 I have added pastured eggs to smoothies. My kids will love this! I NEED this book because all of Renee’s recipes are fantastic and I could use some guidance keeping my kids diet clean as they grow. 😉 I hope you get it, Amanda! It’s an amazing resource! I popped over from the Wednesday Showcase link up intrigued by the Raw Milk. I love raw milk and so wish it was more widely available and not so expensive. The hype and bad press that some raw milk produces receive is unwarranted and ridiculous. Good for you for pursuing the healthiest way to raise your little ones in our overprocessed, over pesticide society! I agree, Toni! Raw milk is so nutritious, it’s very sad that there are so many bans on it. Thank you so much for the encouragement! I need your nourishing beginnings before my newborn starts eating! I hope you get a chance to use it, Jena! It’s such a wonderful resource! 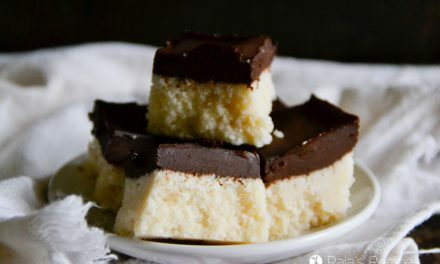 I was just looking for a recipe like this that includes molasses! With four children ages seven and under, all with food intolerance/leaky gut issues, this book could have saved me months of health issues. I hope to have a better understanding of how to build a healthy body through traditional foods by the time we add another baby to our family! I totally hear you, Stephanie! I wish I would have had this knowledge with my first three! Renee’s book is such a wonderful resource. I hope your family enjoys the tonic! This recipe looks interesting! I have a 19 month old who I am always looking for healthy recipes for. 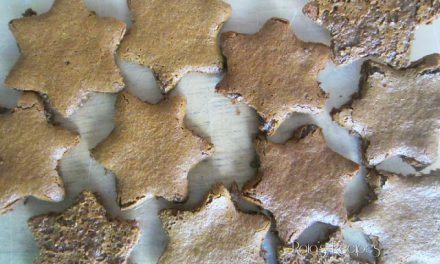 We try to avoid all the store bought, pre-made snacks when possible. I would love to have Renée’s book to know how to feed my daughter and future children well! I hope you daughter enjoys the tonic, Alyssa. Renee’s book is a wonderful resource! What a great idea, I love this!! Developing a healthy broad palate at a young age is such an important goal! This look like a wonderful resource. Thank you! This sounds like a wonderful recipe! I love all of Raising Generation Nourished’s recipes so I’m sure this will be a great cookbook, perfect for the little tummies in our house! That looks like an awesome and important cookbook. I must admit I did not feed my children well growing up. It’s truly my biggest regret. Getting them off to a healthy start is so important. Thanks for the recipe! I’ll have to try it. I understand, Candace! It can be so difficult to feed kids well. I hope you enjoy the recipe! Since I will be starting my littlest one on solids in a few months, I found this very informative! Beautiful website design by the way, and the cookbook looks great! Very interesting article. I believe there sure is a lot of truth to the grain problem with a baby digestive system – especially almost all our grains are now genetically modified. 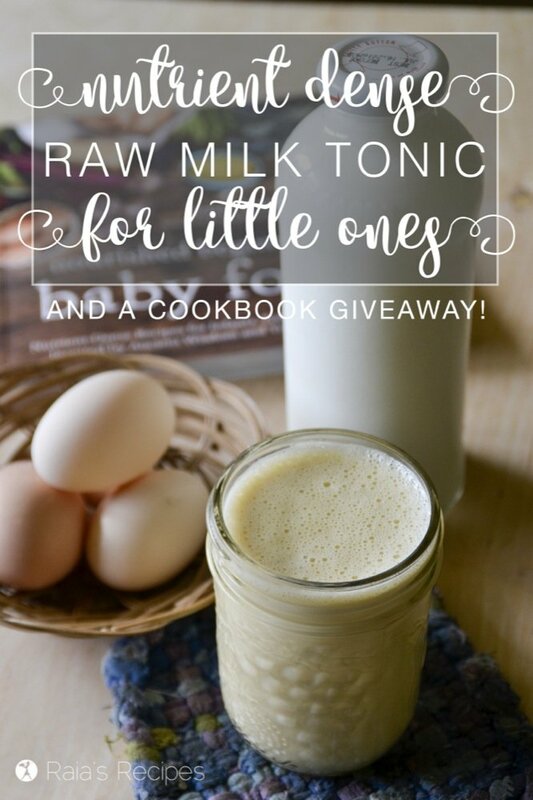 I think your recipe Raw Milk Tonic sounds very healthy for little ones. Thanks for sharing on Real Food Fridays. Pinned & tweeted. Glad to share, Marla! I think it’s something that most parents don’t think about when starting solids, because it goes against what most pediatricians recommend. It just shows how important doing your own research is! Yum! 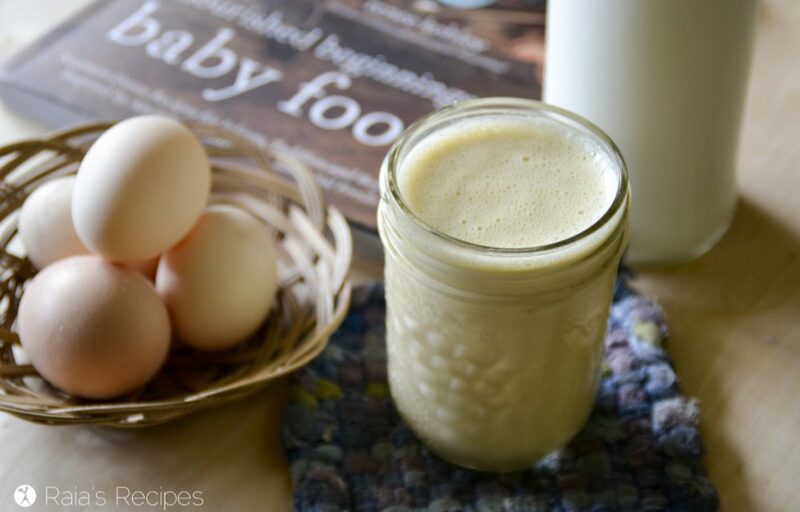 Thank you for sharing your healthy and delectable Nutrient-Dense Raw Milk Tonic for Little Ones at the Healthy, Happy, Green and Natural Party Blog Hop. I’m Pinning and sharing! I’d love to win this for my daughter-in-law to use. She is always looking for new ideas and recipes to use with my grandchildren. Thanks for the chance to win! Your recipes always keep me coming back for more! I’d love to be able to try them out without having to be plugged in- sometimes we all just need a breather from our electronics! Thank you, Stacey! I’m so glad you enjoy the recipes. ? I totally understand needing a break from technology sometimes. Crohn’s, IBS, Leaky Gut, SIBO (?? 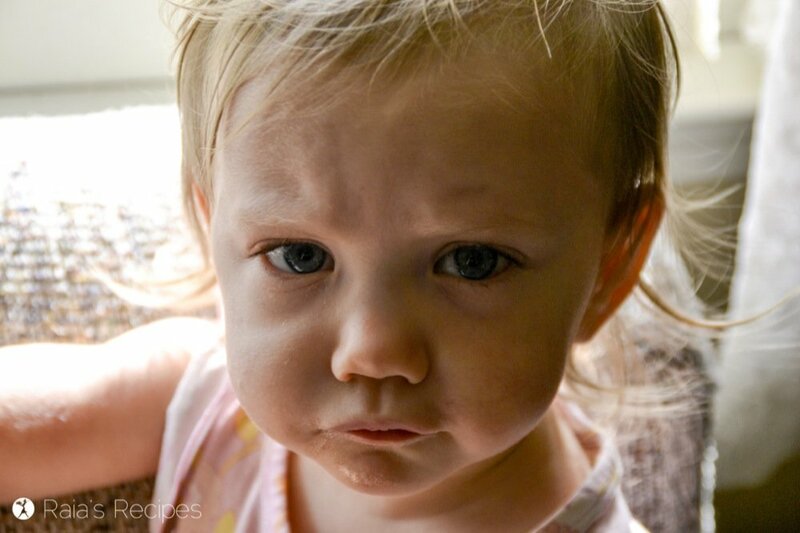 )…..so many food sensitivities I haven’t even figured them all out yet. I’d love this cookbook to help me in my journey! I totally understand, Erin! It can be so overwhelming! I hope the recipes help you!